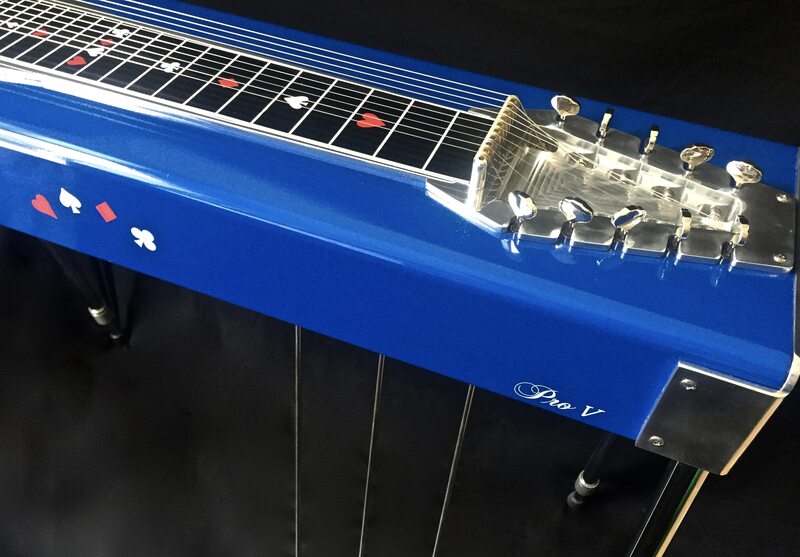 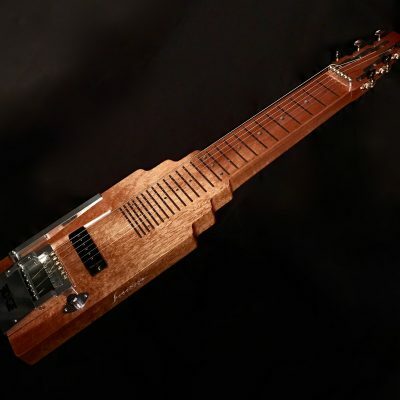 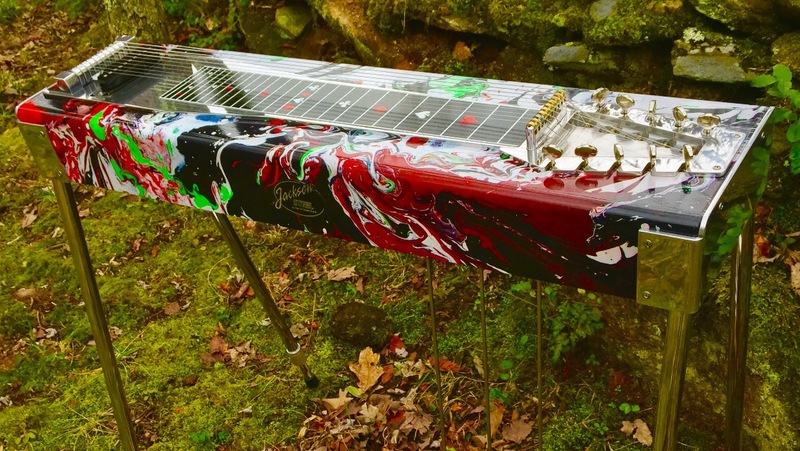 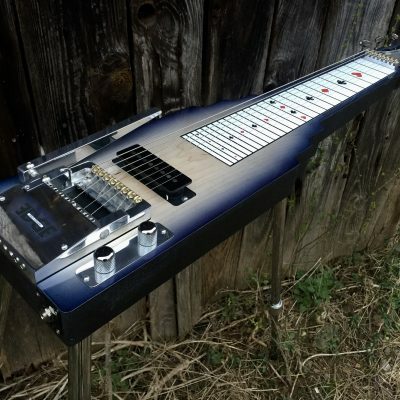 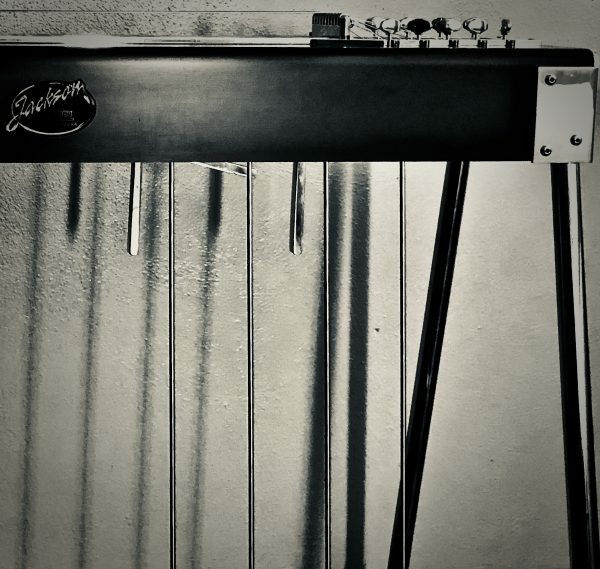 Pro V Aluminum pedal steel guitar, hand crafted by David and Harry Jackson. 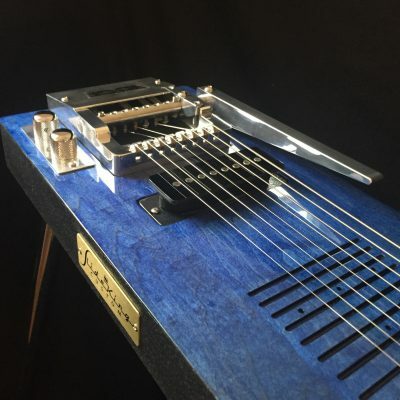 Single-coil Shot Jackson design pickup. 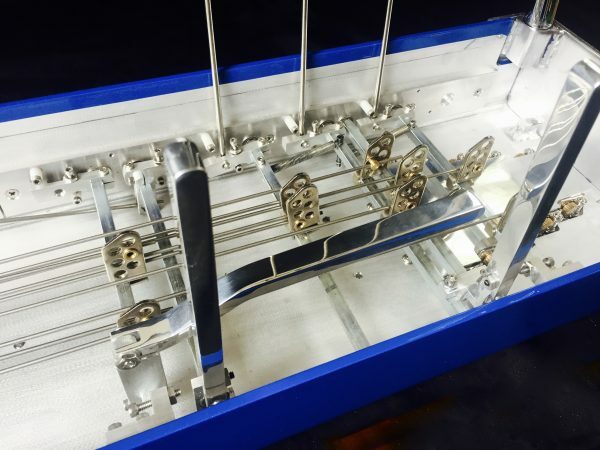 Choose color or customize with your own design or logo! 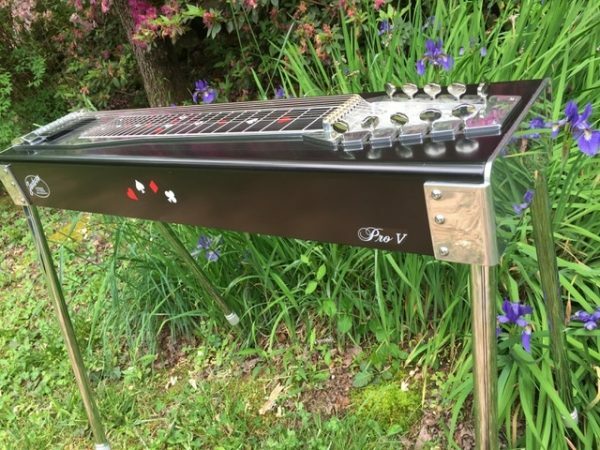 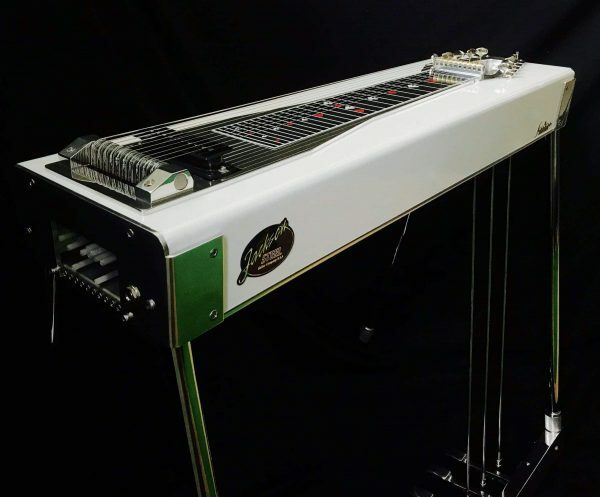 Pro V Aluminum pedal steel guitar, hand crafted by David and Harry Jackson, the hands and minds that brought you Sho-Bud Pedal Steel Guitars. Standard setup is with three foot pedals and four knee levers. 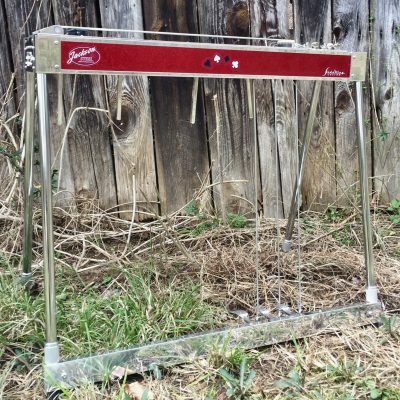 Add knee lever and/or foot pedal for $250 each. 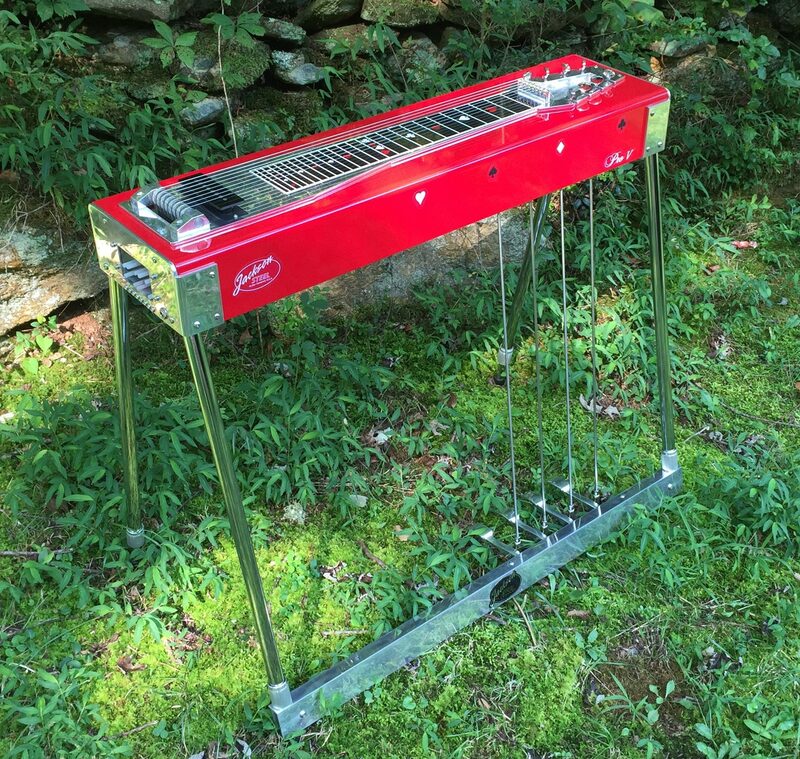 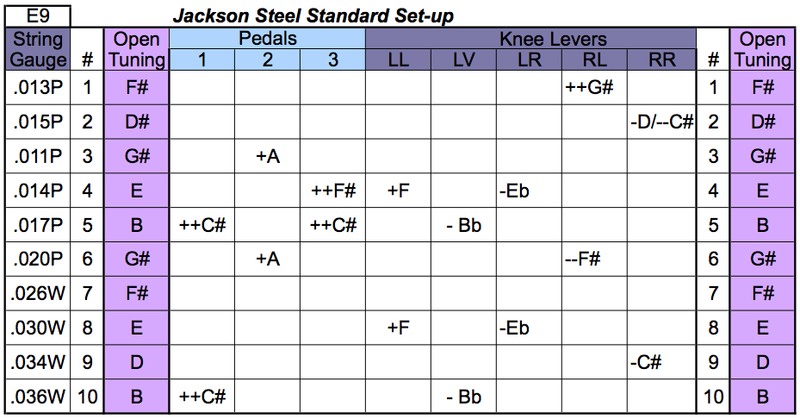 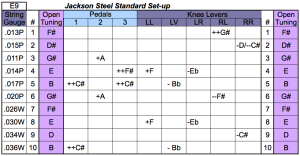 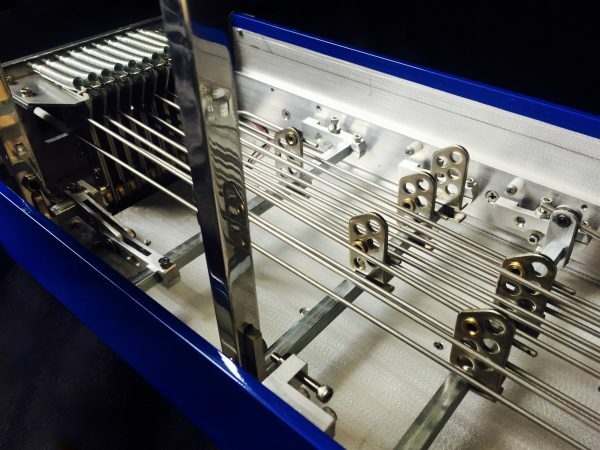 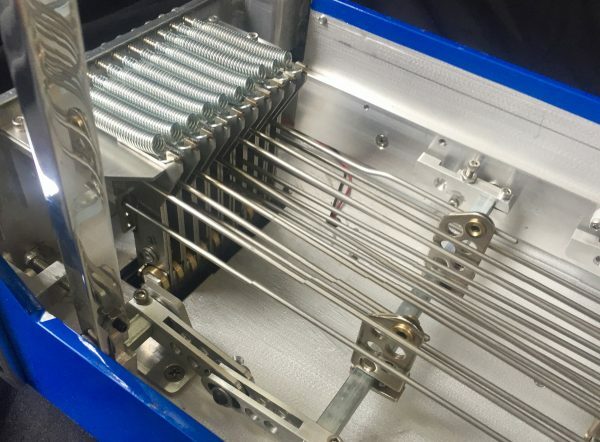 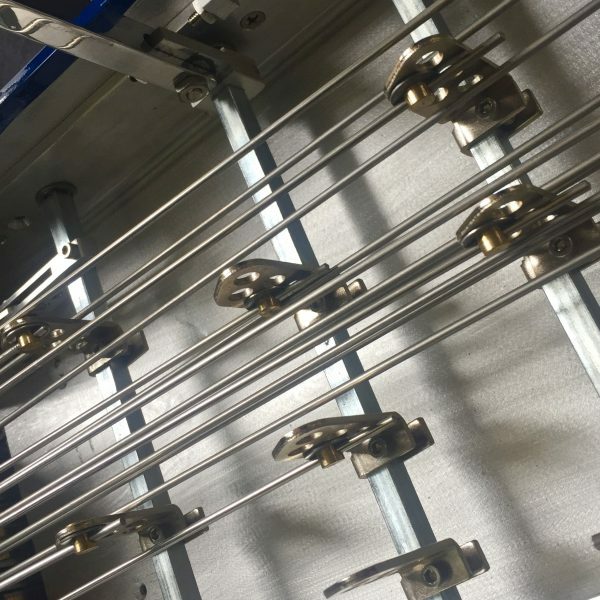 The Pro V pulling system utilizes bearings on all moving parts (pulling fingers, knee levers, foot pedals), resulting in our smoothest performing pedal steel ever. 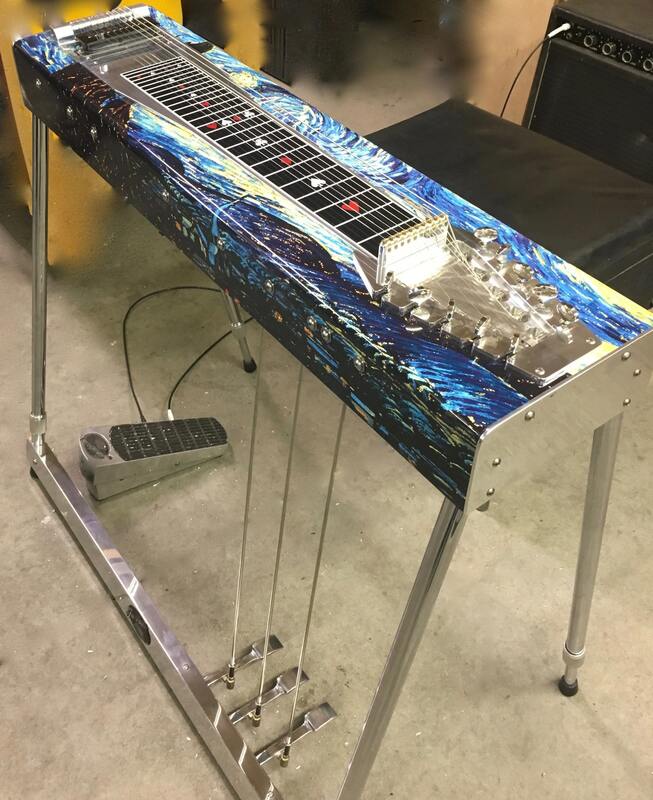 Aluminum frame with wrap or paint finish. Choose from our wrap color selections or create a unique look with your own design or logo! 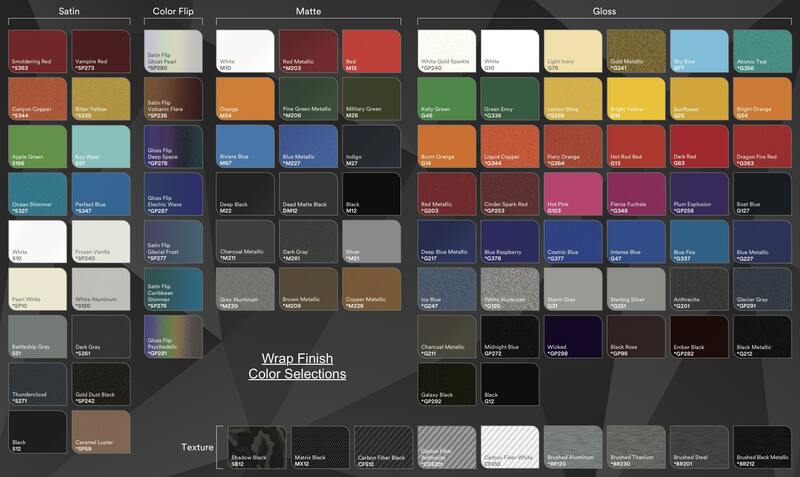 You can also choose an automotive paint finish (add $400). 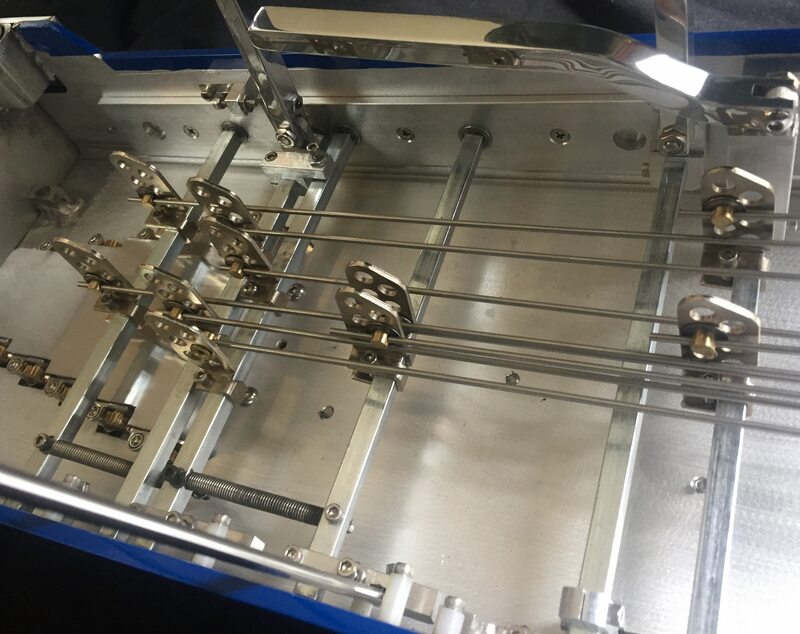 Estimated build time 6 weeks.